As a person who has been around the world and is now living in Ethiopia, I thought it would be helpful to provide some advice from the experiences I have had. So if you are living in Ethiopia, planning on travelling to or moving to Ethiopia, then the following should provide you with some useful advice on everyday life in Ethiopia. If you plan to blend in while taking care of your business around town, then subdued clothing is the key. As a traditionally, conservative country with most people wearing subdued clothing, guys might want to leave that bright yellow leather jacket unpacked and ladies, those short shorts. Ladies should try to avoid overly revealing clothing when alone and footing it around town, as it invites mostly unwanted attention. Aside from that, anything goes. If you are a foreigner, get ready to be the star of your own movie. Foreigners that don't quite have the average Ethiopian "look" receive a lot of attention. Otherwise normal features such as color of hair (red, etc. ), height, etc. are aspects that might make you a star. It is mostly harmless curiosity, but one should always be wary. Most of the locals do not drink the water, although, I have noticed some who do drink it straight from the tap and appear fine. This might have something to do with adopting, because others have gotten sick from drinking tap water. Avoid making ice with the tap water as well. Basic grooming such as washing your face, taking showers, brushing your teeth with the water is fine. So, the rule of thumb should be to boil the water or stick with bottled water which is relatively cheap and available throughout the city. The long lines and complicated process of getting some official work done is an inevitable part of life in Ethiopia. Although, now with Ethiopia's new Prime Minister Abiy Ahmed vowing to do away with the endless meetings held by government officials and the general procrastination of employees, a brighter future is in store for us. Until then, prepare to allocate a whole day to accomplish some official work. It rains a lot in Ethiopia especially during the rainy season. It always amazes me how sometimes the rain appears to work on a schedule, usually at a specific hour every day. Although, this is just my view, the rain of course varies in its timing. In any case, it is usually a relief from the scorching sun which is a mainstay in Ethiopia. 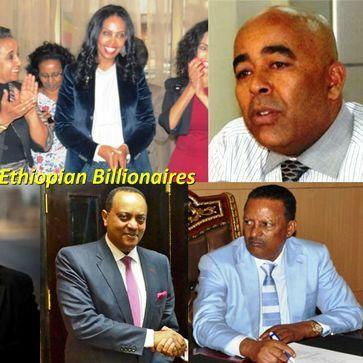 Ethiopia is a largely cash economy, so the saying "Cash Rules Everything Around Me" is very applicable here. Credit cards such as American Express, Visa and MasterCard can be used at some ATMS, Banks and even hotels, but for everyday living, cash rules. So, be prepared to roll up that wad and stuff it in your pockets, and socks too if you run out of space. While you are up and about town, there will be lots of moments where someone is waiting for a tip. From the grocery store to the parking attendants to overzealous "helpers", it might get awkward if you refuse to tip because you only have 50's and 100's. Another great use for small change is to help out those people who are in real need such as the sick who place a mat on the sidewalk and showcase their illness. This is the best time for those who have dollars to come work, invest, live, or visit Ethiopia. Due to the devaluation of the Ethiopian Birr, the dollar exchange rate has skyrocketed. 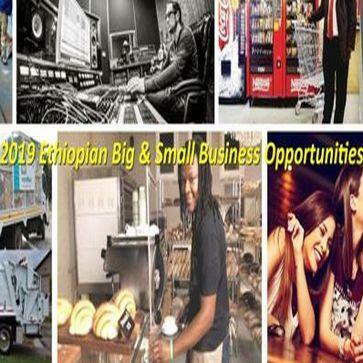 With the bank providing about 27 birr to a dollar, and the black market upwards of 35 to 1, the time is right for your ventures in Ethiopia. Compared to other countries, life is very affordable here in Ethiopia. It will have you luxuriating in the many fancy restaurants, spas, hotels, etc. Most things are cheaper here, but beware if you plan to purchase a car, they are relatively very expensive, and this is due to a tax on imported cars that range from 100 to 300% on purchase price. Also, brand name products for clothing and shoes i.e. Nike, might be more expensive here as well. Driving in Ethiopia is bound to frustrate many individuals who are used to strict road regulations and driving etiquette. With everyone on the road creating their own rules as they go this can get a bit annoying. Most annoying of all, is how often you will see a car stop in the middle of the road and chit chat with a friend, while cars line up behind. Ethiopia is a country with a terrible traffic accident record. In fact, it ranks among the world's highest in the amount of accidents per vehicle in the country. The main causes of these accidents can be traced back to lax and corrupt license issuing offices, no or unregulated rules on drinking and driving, and virtually no speed limits. Some of these issues are being tackled, with traffic police now equipped with devices that detect speed, as well as, instruments for testing the level of alcohol in intoxicated drivers. Though today is not as bad as it was as recently as just two years ago, expect to get a 50/50 chance of encountering a traffic police officer that will want to take a bribe. Some argue that they just don't get paid enough and that might be a valid point but there are those that blatantly abuse their position and power and this causes a problem. For most law abiding citizens, it might get frustrating when you know you have done nothing wrong but are expected to beg and convince the officer to take your bribe. This is often the case, but at least they do not ask for too much, some will take a 50 birr note while others might frown and expect more, especially if you are new to the country. The bribes are always much cheaper than the ticket, so it is up to you to decide - take the moral high road or slip them a 50 and race away. The road network and quality has seen an astronomical improvement over the last few years, largely due to Chinese involvement in the various projects. Yet in still, due to the booming economy and construction sites all over the city, expect to get those brand new shoes of yours a bit muddy and scuffed. Furthermore, most residential roads away from the main road systems have yet to be built, so visiting the home of that friend who lives off the beaten path might prove to be an adventure. Purchasing some rugged shoes and having them available would be advisable. As mentioned above, due to the many construction projects going on around town, when it rains the potholes might become mini rivers. These cause delays as crossing them is a duty done with care. One must also always be careful not to splash water on pedestrians as this might cause some trouble, and remember you can't just drive off, because more than likely heavy traffic will cause you to sit there awkwardly. Bank robbers just recently were caught because they failed to take the dreadful traffic jams into consideration while they mapped out their getaway plans. If you can avoid, rush hour traffic during the day, then your life will become much more bearable. Try to avoid the 8-9 am and 5-6 pm mad dash by adjusting your schedule accordingly. The government has decided to quadruple the price of parking in the city (5 to 50 ETB) in order to convince people to take other forms of transportation and decrease traffic jams. You will notice mostly female attendants with bright yellow vests place tickets on your windshield with a time stamp. Before leaving, try to get their attention and pay first, because it might get a bit embarrassing if she ends up racing after you yelling you have to pay. Contract taxis are a good choice when you do not want to deal with parking and traffic. You should always negotiate with the driver, because nine times out of ten, the first price he gives you is not his last. Best practice when dealing with contract taxis would be to find one that is reliable and friendly and get his mobile/cell phone number. With a regular, you can have him come anywhere at any time to pick you up (as long as you are good with your tips). This might come in handy on one of those late night outings with taxis asking astronomically high prices trying to take advantage of your situation. Buses that travel from major city to major city are safe, cheap and comfortable. Prices ranging from 10 to 20 dollars for about a seven hour ride. There are reconditioned German buses like Selam Bus and brand new Chinese buses like Sky Bus which attempt to make your travel more comfortable. Be aware the bathrooms in the buses do not work 98% of the time, so road stops are provided and you might end up doing your business in a pristine forest somewhere along the way. Aside from that, they even provide drinks, snacks, air-conditioning and entertainment via TV screens. A sight that will make most people from foreign countries stare with shock on their faces. But yes, in Ethiopia you can park in front of an establishment and have them serve you drinks, etc. Although still in its infancy, attempts are being made to quell the accidents caused by intoxicated drivers. The various ethnicities of Ethiopia have their own dishes and ways of preparing food and drinks, so try to be adventurous when choosing where to eat. Addis Ababa is flooded with restaurants and eateries some of them exceptional with live traditional dancing and music, while others leave much to be desired. A new trend that is going on around town is to offer expertise in one dish, for example, for kitfo you would go to Yohannes Kitfo or for shiro, you would go to TG Shiro. Ethiopians love their spices, and berbere, which is added to almost every dish, is king. Before travelling to Ethiopia, it might be wise to get accustomed to more spicy food. You will find it hard to come up with excuses to not have a healthier diet in Ethiopia. Fruit and salad stands are virtually all over the city, and they are fresh and cheap. With a wide selection on offer they will inevitably satisfy anyone's palette. So no more excuses for avoiding that healthy diet. For one, Ethiopians tell time in a way that varies from the rest of the world. As opposed to the 24 hour clock, Ethiopians use the 12 hour clock which has one cycle from 1-12 (dawn to dusk), and a second cycle from dusk to dawn. While midnight marks the start of the day for the rest of the world, Ethiopians use dawn as the beginning of the day. 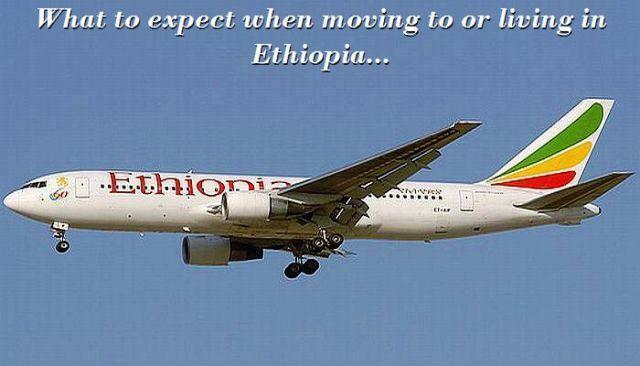 Ethiopian time also refers to the fact that Ethiopians are notorious at not being "right on time". An appointment, for let's say 7am would translate into Ethiopian time at about 7:45 am, so try to avoid the culture shock by making your meetings earlier. Be it Orthodox Christianity, Islam, or Pentecost's, Ethiopians put a lot of emphasis on their faith. Largely due to this, there are a lot of holidays that Ethiopians celebrate, for example some might celebrate a particular saint's day every month, while some once a year. A Chinese man once commented that if Ethiopians did away with all the days off from work for the many holidays, the country would become an economic powerhouse in the world. Ethiopians are extremely polite and often go to great lengths to offer help. But one must also be wary of those that see a foreigner or diaspora as a big bag of money and nothing else. You will hear "enebla" very often and it means "let's eat", this is a beautiful example of how Ethiopians enjoy sharing and being respectful, even for strangers.